Very good video, Brian. The Craycort grates are one of my favorite BBQ tools. I like to sauce my wings and put them back on just to crisp the sauce up a little, otherwise are techniques are very close. Ain’t no thing but a chicken wing, right? Mine weren’t thawed tonight. Bummed but they’ll be good tomorrow. I’m grilling more wings today, and will toss them back on the grill after saucing. 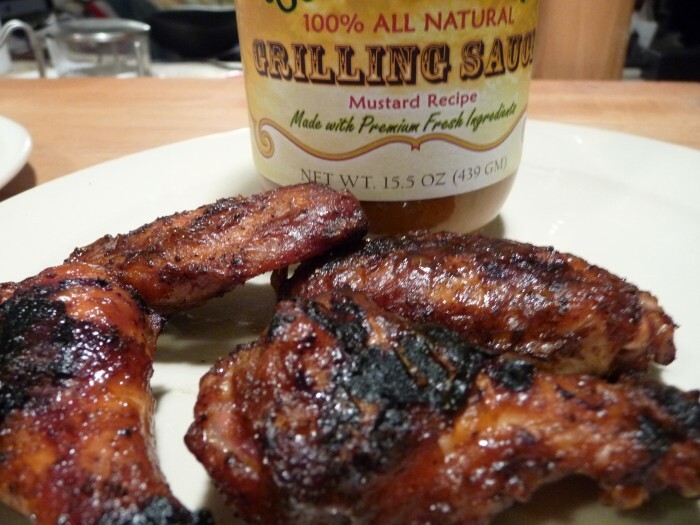 We’re doing some jerk wings, and some BBQ wings to finish up the series. I’m a huge fan of the Country Chef line of sauces. Very unique and fresh flavors! I bet those were some tasty wings! 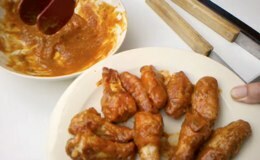 They were with out a doubt some of the best, tangy, mustardy wings I’ve ever cooked. Country Chef’s sauces are delicious. We have more reviews up our sleeves. Those look really simple and delicious! The grates looked handy too. Definitely wish I had a set!